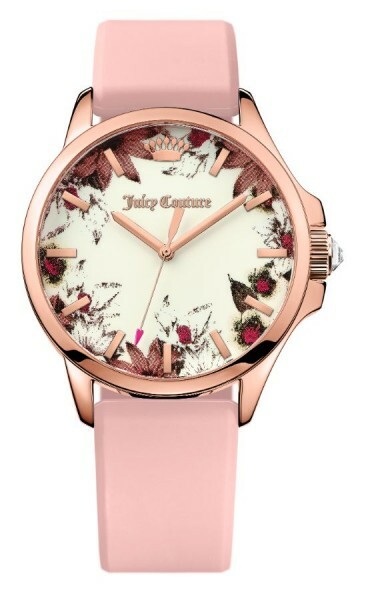 Fashion and fun is in full bloom with this Jetsetter timepiece from Juicy Couture. Featuring an ionic rose gold plated brass case with a 40.20mm floral patterned dial. Fastens with a pink silicon strap.